I prepared for the ATA Translation Certification exam with my Oregon Society of Translators and Interpreters (OSTI) colleagues. The exam has an overall pass rate of under 20%, which varies by language pair and exam year. We took our preparation seriously. 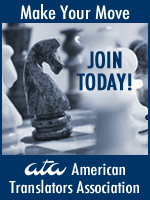 On the ATA exam, every point counts against you. ATA has published a list of errors they check against and a rubric that explains how they assign points to each error. To pass, you cannot accumulate more than 17 points. If you do, you fail! In our OSTI study program, we spent 25 online sessions plus a couple of in-person meetings working on how to internalize these rubrics. This made us all better translators and interpreters. Personally, I was encouraged. I had good scores on my practice tests. I was taking the exam in both directions (Spanish<>English) and had taken two tests in each of my language pairs. For my Spanish to English practice test, I had a score of 12 on one text and 12 on the second text. For my English to Spanish practice test, I had a score of 13 on one text and 11 on the second one I took. Better yet, I knew that my colleagues were also well prepared. Some had decided to take the exam in 2017 and some were taking it this year. We had a good understanding of what we were facing. Keyboarded exams are a new development for ATA. Test-takers are allowed to bring their own computers to the site, but have to save the translation onto a USB provided by ATA, not onto their hard drives. The guidelines for the computerized exam are listed here. See this link for a list of approved and banned websites. I took the keyboarded exam from English into Spanish in Philadelphia. I had spent the previous day at the Delaware Valley Translators Association (DVTA) conference, enjoying being at an event where I had no responsibilities, being just one of the crowd. There, Tony Guerra, the DVTA president, reminded us that certified translators earn an average of $10,000 more per year than non-certified translators. The pressure was on! But I was relaxed. 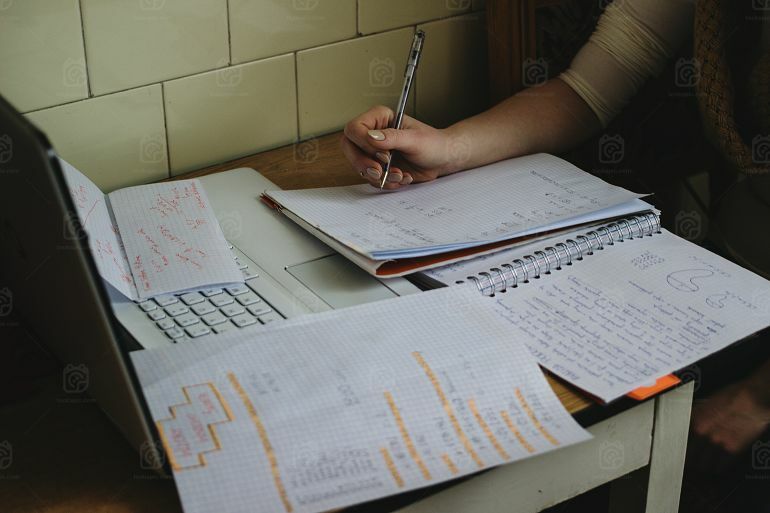 Before the exam, I had done some things that helped me focus on good writing. I had just attended the Editorial Freelancers Association conference in New York, which focused on copy editing. I also spent a lot of time reading good literature on my iPad the week before. Instead of carrying a load of dictionaries from the West Coast, I used the bookmarks on the OSTI resources page and on the Mosqueteras site, a blog focused on good Spanish writing, as my references. That was why we had been setting them up over the year! I also had a few of my favorite quick reference hard copy books. What did I do during the keyboarded exam? I started by reading the text, just like I do with every single translation I work on. I looked for challenges, both in terms of words and in terms of sentence structure. I made a chart of how I would solve those on a sheet of paper before I got started. I actually spent about 45 minutes doing that research on each text before I started writing. Then I translated the mandatory text. Of course, I found extra things to research, and I changed my mind about a few of the solutions, but my research helped a lot. I took a break to clear my head. I moved on to the draft of the second translation and repeated steps 1 to 3 with the next text. I had to choose between texts B and C, which were different specialties. Then I took another break. I colored with some markers I had taken, so I could somehow separate from the translation task. Then I reviewed the two texts, in order. Another break. Then I reviewed both texts again. What did I find in the review process? I noticed that my typing was bad. I was fixing typos right up until the end of the three hours! Not having spell check affected my ability to type well. We had to work in WordPad, which does not have a spell check, but I could check terms in online dictionaries. So I did! In some cases, that led me to a better solution. I used the online resources available effectively. It was certainly nice to not have to travel with a suitcase full of books! However, having a few hard copy books was very helpful. I took the written exam from Spanish to English in Bend, Oregon. Here, I was taking the exam with my friends. It was fun! I walked in with my suitcase full of dictionaries. Because of my practice test results, I felt confident. Regardless, I spent some time the night before reading good literature, so my brain would be tuned into good English and Spanish. My translation process was similar to the one I had experimented with in Philadelphia. It was fresh in my mind, since I had taken the exam two weeks before. The breaks helped. In this exam, I didn’t have to worry about typos. I just had to worry about my handwriting. Honestly, it’s just as bad! And I scratched my paper up so much that I really missed the option of doing a cut and paste so the grader could read a clean document. I have attended some sessions where we have been told to not fret over handing over a clean document. They would rather have us focus on just finishing the job. So I did. While I waited for the results, it was helpful to remind myself that I am just as good a translator today as I was yesterday. In November I learned that I passed the Spanish to English certification exam and did not pass the English to Spanish certification exam. I also recently passed an exam administered by the Washington State Department of Social and Health Services, so I am now a Washington State certified English to Spanish Document Translator (see this link for more information). As my study group focused on cracking the certification code, we were focusing on the details of what makes a translation better. Now that I am certified, as I do my regular work as a translator and reviewer of other people’s work, I feel that we should use the ATA list of errors and the flowchart for error point decisions to help us grow and to provide better peer review. Thank you, ATA, for providing a great framework for professional growth! I plan to keep using it. Thank you, Helen, for sharing your experience first-hand. It does sound like the handwritten exam is more challenging from the procedural standpoint. Do you think handwriting the translation might have contributed to you not passing, or do you feel it was mostly linguistic? Actually, I passed the handwritten exam. The computerized exam was the one that gave me trouble. Working with a tool I was not accustomed to (WordPad) was awkward. I should have been using WordPad as a primary editing tool for an hour a day for a month. I also use the ATA provided tools in my workshop, Helen, and I agree with you: they should be used as a reference all the time. I’m glad you do! We are both singing the same tune! Thank you for this article, which I am sure many people will want to read. I have two questions about the keyboard test — you mentioned that you had to work in WordPad. Does this also apply to Mac users? Also, I assume that your internet access during the test is via WiFi — did you experience any delay times caused by everyone searching online at once? I sincerely appreciate your taking the time to do such an extensive and helpful article. You are welcome! Writing it helped me organize my own thoughts as well. I’m glad it is helping others.